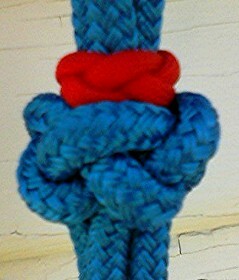 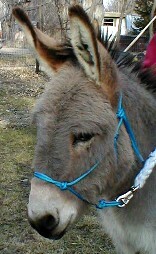 Note: Most keepers are made the base color of the halter, only made in red on the blue halter so it could be seen. 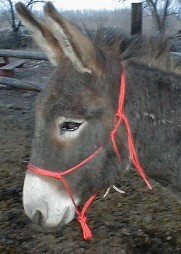 Due to a large number of returns on these Halters I no longer accept returns on them, take measurements!!!! 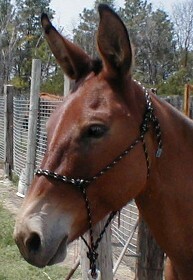 I get a lot of returns on the Larger Halters, because measurements are not take and they are too large for them. 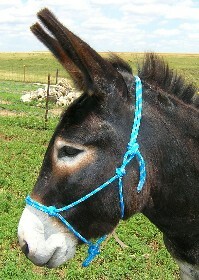 Our Large size fits a Mule with a pretty large head and will fit most Draft Crosses. 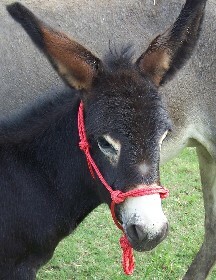 Our Regular size fits most Mules, if your Mule has a fine head we would suggest you order our Yearling size. 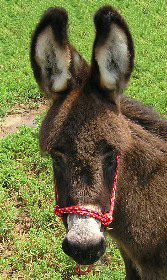 The above are just guide lines, we always suggest you take measurements to be sure what size your Donkey/Mule will need and email them along with your order.